Hello! Welcome to the Animal Desk Reference™ website! This website is changing often, so we hope that it can help to direct you to further information you are seeking! Through websites, we are able to modify information more often than in written text – so our goal is to provide you with resources on the most current reading and education. Please visit these resources often and re-read information to enhance your learning! First – I’ll introduce myself. 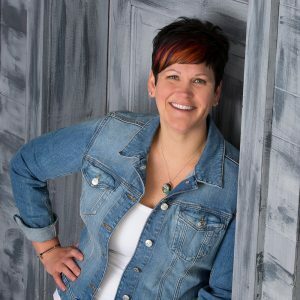 I am Melissa Shelton DVM – I am an integrative (holistic) veterinarian from Minnesota, and owner of Crow River Animal Hospital, LTD. I am also an avian and exotic animal veterinarian, and have additional extensive training and interest in avian orthopedics, dermatology, dentistry, and nutrition. But, my passion lies with essential oils – and so I currently devote my entire veterinary practice to the medical use of essential oils, and the research therein. Veterinary Aromatic Medicine is a bit different than your typical “Aromatherapy” phrasing. Indeed, I use essential oils much like a veterinary herbalist will use herbs, and include them wholeheartedly within the definition of plant based medicine (phytotherapy). I attained my veterinary degree from The University of Minnesota College of Veterinary Medicine in 1999. My work with the medical use of essential oils for animals began in 2008; and in 2011 I dedicated my practice solely to the research and advancement of veterinary aromatic medicine. I am devoted to providing accurate, honest, and documented information regarding essential oil use in the animal kingdom. I routinely share my passion at a variety of veterinary conferences including the Midwest Veterinary Conference (MVC, Ohio), the American Holistic Veterinary Medical Association (AHVMA), and recently at the Minnesota Veterinary Medical Association (MVMA) – as well as with many other animal related seminars and conferences throughout the United States, Japan, Australia, and Canada and I have authored several books, journal, and magazine articles regarding essential oil use with animals. In 2014, I introduced animalEO, a line of veterinary essential oil products for animals. Veterinary Aromatic Medicine is indeed in its infancy. There are many who don’t understand the intricacies of veterinary medicine and animal physiology – so accurate information is slow to disseminate. It has been many, many decades that we do not clearly understand the working physiology of cats and other exotic species (birds, ferrets, etc.) – and so we need to create a new paradigm of accurate information. I hope that this website can aid in this endeavor. There will be several pages you will find – dedicated to the most common questions and controversy that faces Veterinary Aromatic Medicine. And more will be added all the time. Please accept our invitation to learn, with an open mind. It is only when we refuse to listen, that we are doomed to ignorance. My goal is not to make everyone use essential oils for their animals. My goal is to provide truthful and accurate information, for anyone interested in doing so. Warmest regards & Happy learning!